Short Answer: Bitcoin is the digital version of gold just like e-mail is the digital version mail. A transaction network that allows transfer of Bitcoin directly from person to person anywhere in the world. When holding bitcoin, only you have access to it and it is your own responsibility to keep it safe. Transactions are person to person. Inflation does not erode it’s value because no government or other entity can create more of it. From a functional end user point of view it really is that simple. The transaction network is really the core innovation of Bitcoin. The software that a bank would typically run on their servers that keeps track of each bank account and every transaction was re-written. It was written in such a way that it does need a central trusted server. Anyone can download the software and participate in processing transactions. Essentially anyone can download the software and get their own little bank terminal to open accounts and make deposits and transactions, but only from accounts they created. This group of people all running the same Bitcoin software collectively create the Bitcoin network. The technical genius of Bitcoin was the creation of this software where anyone can participate but still provide security for everyone involved. What is the big deal about Bitcoin? Title/Deed storage, transfer, and trade. Proof of existence for documents or anything digital. What’s more amazing is that everything on this list is available TODAY via these technologies NXT, Bitshares, Counterparty, Namecoin, OneName, Proof of Existence. Before you head down the rat hole keep reading below. Do you doubt these claims? Don’t see how that is possible? Great!!! So did I when I first learned about Bitcoin. It may take time though so keep reading below and feel free to leave any questions in the comments. If you have suggestions of other videos you’d like to see please let me know in the comments. When someone asks, “What is Paypal?” The answer doesn’t typically doesn’t involve the servers, software, or encryption that the company uses, it’s about the services themselves. Do you know what encryption is used for credit card processing? The answer is no, you don’t really know what’s going on under the covers to process a credit card transaction. Because everyone uses them and they are a part of daily life no one questions it. Once enough people take the time to really understand bitcoin and tell others about it, trust will grow. In the future people won’t care or need to know how it works, just that it does. For some people reading this it may make sense to find the most technical person you know and trust, and just get their opinion. For those that want to know more keep going! With bitcoin (besides being new) there are two reasons that I think drive people to want to understand it before they can actually believe in the functionality I listed in the first section. If money is digital, what prevents someone from just copying it or just making more of it? How is Bitcoin decentralized and what does that mean?. Who runs it? Who is the president? Where are the bitcoin headquarters, what is the Bitcoin business plan? What if some of the people running bitcoin nodes try to steal my bitcoins! I had the exact same doubts when I first learned of Bitcoin. What this means is that a lot were generated early on and that rate slows down over time. 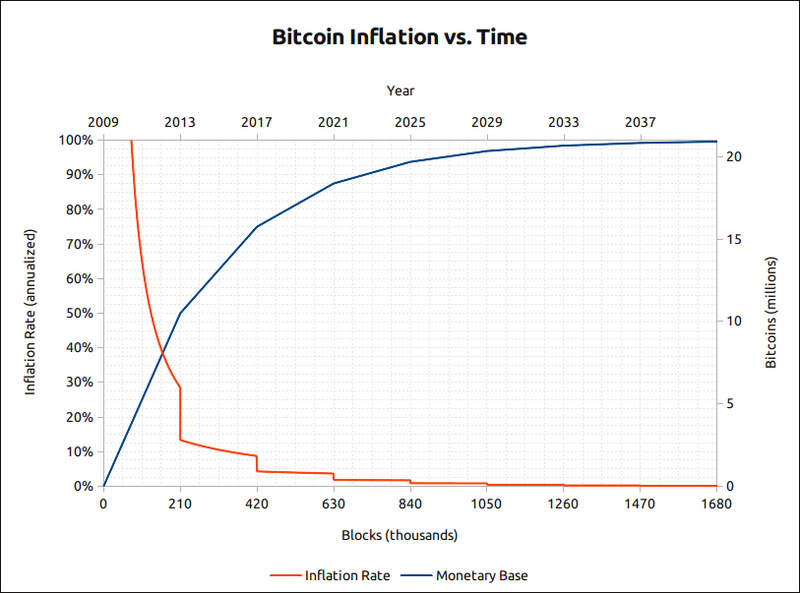 This creation rate is baked into the bitcoin software. Every node on the bitcoin network uses to same formula for bitcoin creation and do not allow any other node to create a transaction that deviates from this creation rate formula. Where does this bitcoin go? It gets spread to all the people running the bitcoin software and processing transactions on the network, thus creating an incentive for people to help run the network. The bitcoin network is based on many individuals running the bitcoin software that helps process transactions. These are called miners. These miners are what power the network and allows transactions to be processed. A block of transactions are created about every 10 minutes. In the block of transactions, there is a math puzzle that all the nodes on the network compete to solve. These blocks of transactions are chained together in a way that the math puzzle of the current block is dependent on all the details of the prior block. Thus creating a chain of blocks… the blockchain! The miner on the network that solves the puzzle first gets compensated in two ways. First, all the transaction fees for the transactions going into that block are paid to this miner. Second, in each block some Bitcoin is created, the miner also gets this created bitcoin as a reward for helping process transactions. All the other miners will receive this solved block from the winner and first will check to make sure none of the bitcoin rules are violated. After that they will save the block and start racing to solve the puzzle for the next block. If any node were to try and publish a block that violated the rules, such as creating more bitcoin than the creation formula defines or trying to spend the same bitcoin twice, then all the other nodes would reject that block and still compete with each to find a solution that solves the math puzzle but has valid transactions. It is possible to have two different blocks that both solve the puzzle. All conflicts are resolved by all clients using the longest chain of valid blocks. So, essentially the winner will be decided on who solves the next block math puzzle first. This is where the security of the network is derived from. The security of the network relies on no single person being able to control enough computing power to outrace the rest of the bitcoin network. (this is referred to as a 51% percent attack). However, even if someone was able to gain the upper hand in computing power it would only be for a very short period of time. Even with 51% of the computing power available only two things could be possible. The person would be able to redirect one of their own recent transaction from one person to another. Or they could prevent others from using the bitcoin network by excluding their transactions from the blocks they generate. Things that still could not be done even with a 51%. Would not be able to steal funds from others or generate new bitcoin. Neither of those things are possible. This whole process is referred to as proof of work or blockchain technology. All of these blocks chained together, starting from the first block form the blockchain. In the end we are left with a single authoritative ledger that follows all the rules of Bitcoin. In the case of Bitcoin who really controls the network? It’s the people running the bitcoin miners. Miners essentially vote based on what bitcoin software they run. The weight of their vote is based on how much computing power they control. This decentralization is one of the key benefits of the Bitcoin system and what gives it it’s security. This decentralization is what prevents corruption / changes not in the best interest of the community. There is a group of people referred to as the bitcoin core developers. These folks help write the bitcoin code but do not control bitcoin. If the developers tried to make a change that the majority of miners did not approve of then the miners would not install the updates. Essentially the bitcoin developers are allowed to be the bitcoin developers by the miners. How is all this kept secure? Personal coins kept secure using public/private key cryptography. Prevent transactions from getting into the blockchain. Change or cancel recent transactions from only their own accounts. This is known as a double spend, however, there really is not a double spend but rather a recent transaction is altered where the destination address is changed. So, someone who thought they had received some bitcoins recently that transaction could be cancelled. The good news is that the network is watched very closely and even if someone were to gain temporary 51% control of the network #1 would be just temporary and #2 can be mitigate by using payment processors that take these risks and in to account and also do their own monitoring. The key takeaway here is that the only impact and individual would experience is a temporarily inability to transact at the worst!.